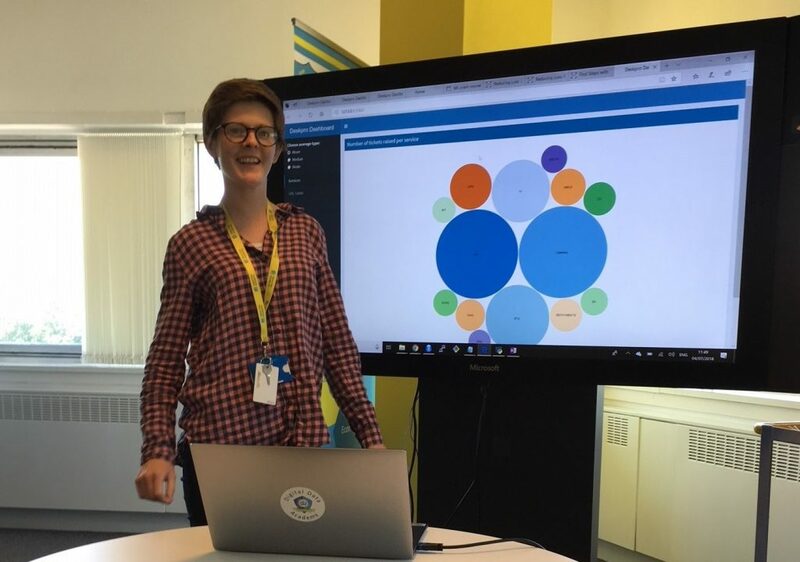 My name is Emma McLarnon and I’m a Data Scientist at the Innovation, Data Exploration & Analytics Academy in HMRC's Shipley Digital Delivery Centre. For the last 3 months I have been taking part in the Data Science Accelerator programme for Civil Servants. Here’s how I got on. Data Science Accelerator is a capability-building programme that gives analysts and data scientists from across the public sector the opportunity to develop their data science skills. Each participant gets one day a week to work on a data science project of their choice, based on a real business problem, with the support of an experienced data science mentor who is there for you throughout the programme. With a recently completed PhD and background in plant sciences I have experience analysing data and using statistics, and had taught myself how to use R (a programming language). Joining the programme meant I could use the skills I already had and improve on them, as well as learn new skills using HMRC data. My project idea came from one of my customers in HMRC - an idea for a tool to detect issues with live services. At the moment, problems with pages on GOV.UK are reported by raising tickets that get passed to an agent to resolve. The aim of my project was to develop a dashboard for the team who deal with the tickets. The dashboard flags potential issues with the services and displays these visually before the agent deals with the ticket. It highlights wider issues that could be jointly dealt with and therefore speeds up the time taken to solve them. I chose to use R for the dashboard because I found a tool within R called Shiny that enables users to make interactive visualisations easily. This seemed like the right tool for the job. It wasn’t without its challenges though! I haven’t had any formal programming training, so some of the aspects in the code I found difficult. At times during the process, I felt like I wasn’t getting anywhere. Luckily I was able to speak to my mentor who was always willing to help, so it all came together in the end. The dashboard implementation is still underway and the next stage is to test it using live HMRC data. Overall, accelerator was very useful. I feel more confident in using new technologies and I learned lots of new skills in R and in dealing with different types of data. The skills and confidence I gained, as well as the networking opportunities during the accelerator events, were well worth the frustrations of grappling with code. They will definitely help me in my work with my team in the Academy. Visit our Data Science Accelerator page on GOV.UK to find out more about the programme.